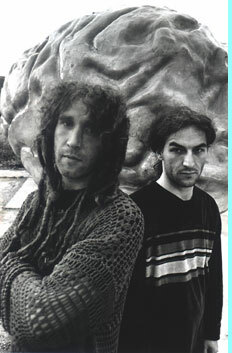 The original nucleus of the future Eat Static was a band called Wooden Baby, formed in 1987 by Merv Pepler, then drummer with Ozric Tentacles along with friend Charlie Daniel. 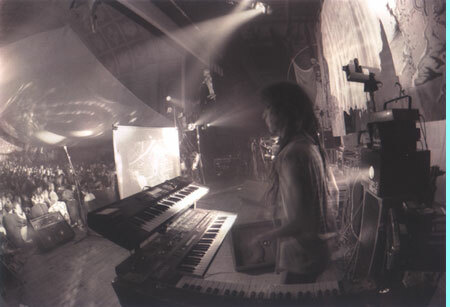 Members came and went, with Joie Hinton, Ozric's keyboard player, joining in 1988. Steve Everitt joined in 1989 and Wooden Baby mutated into Eat Static with the line up settled as a three-piece of Pepler, Hinton and Everitt. One of the principle aims of the band was to play live, something that very few electronic artists at the time were willing or even able to do and over the following 3 years the band developed a spectacular, truly live midi-based show that played at many raves and club nights around the UK. Live shows were interspersed with periods of frenetic recording at Steve's 'Om Box' studio and the band released 3 EP's 'Monkey Man', 'Inanna' and 'Almost Human' as well as a cassette album 'Prepare Your Spirit' on their own Alien Records label. The band appeared regularly at Club Dog in London over these years and as a result, when Planet Dog Records was formed in 1993 to offer an outlet for recordings by some of the artists playing at Club Dog, Eat Static seemed the obvious first signing. The time seemed right for an immediate full scale album release by the band and consequently Abduction was released in the summer of 1993. The album proved to be an immediate hit within the mushrooming electronic music scene, sealing the band's reputation for well produced, lush and often timeless, ambient dub, trance, techno (and later) drum and bass and hip hop based tunes. The huge success of Abduction encouraged a follow-up release of more new material on the Lost in Time EP also released in 1993. A copy of this EP found it's way to one of the UK's top DJ's at the time, Sasha who was so taken by the track Gulf Breeze that he offered to record 2 remixes just for the fun of it, as long as Planet Dog released them! (as the limited edition Sasha Remixes EP) The year rounded off nicely with the band being voted Best Dance Act in the NME annual reader's poll. 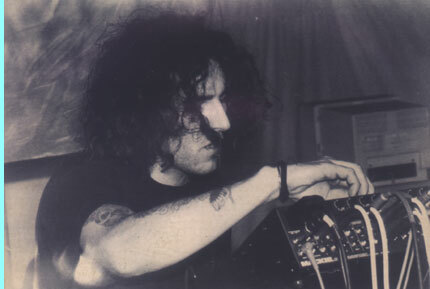 1994 saw Eat Static entering a long period of almost full time recording and performing. The tracks kept coming and the live shows got more and more spectacular as the band played bigger and bigger events. Their second album, Implant was released to great acclaim and was swiftly followed in the same year by a video album featuring tracks from Abduction along with some new material.The band spent much of 1995 and 1996 on tour, often with Megadog or other Planet Dog label-mates but still managed to produce the excellent Epsylon and Bony Incus EP's as well as writing the material for the Hybrid EP's which were released early in 1997. By 1997, Eat Static had evolved into a 2-piece, (Steve Everitt having slowly and amicably departed to pursue a career writing library music) renowned for it's awesome live shows and diverse musical styles. This diversity was well represented on their 3rd album Science of the Gods, whose release, in conjunction with the Interceptor (and later, Contact) EP's, came very close to propelling the band into the UK top 40 singles chart! Top of the Pops even phoned up to sound out the band for an appearance on the next week's show! Sadly, Eat Static ended up at no.41, denying the band a new career appearing on kid's TV shows, pop spectaculars and in the tabloid press, but with their reputations and credibility intact! 1998 saw the release of the band's 4th album B-World recorded live at various gigs over the previous year and intended as a final nod to the techno-influenced style of live sound that the band were now moving away from. In 1998 the band departed from Planet Dog Records to pursue new musical pastures via their own label Mesmobeat, on which they have continued to release albums to the present day. Full details of these releases can be found here. Eat Static still play live shows and up to date news of gigs and releases can be found on their excellent website at http://www.eatstatic.co.uk and/or via their Myspace page. Click here to see Eat Static's discography.